Jennifer Aniston, Morgan Freeman and Selena Gomez and will be among the stars at WE Day California, a youth empowerment event. 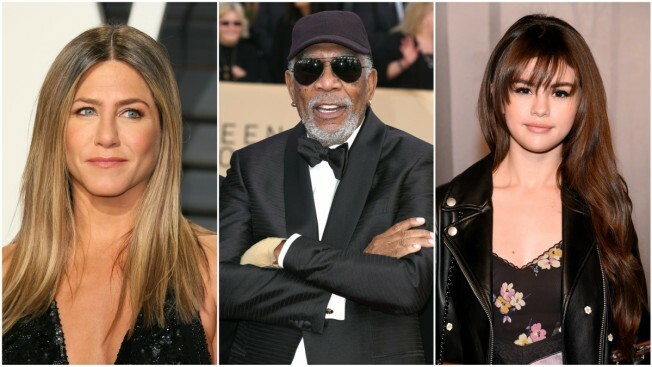 Selena Gomez, Lily Collins, Morgan Freeman and Jennifer Aniston will be among the stars at WE Day California, a youth empowerment event. Organizers say more than 16,000 students and educators will gather in Southern California on April 19 to learn about bringing "positive change" to their communities and around the world. Besides celebrity speakers, the California students also will hear from activists including March for Our Lives organizers from the Parkland, Florida, school where 17 people were fatally shot on Feb. 14. Others taking part in the gathering include Will Ferrell, Martin Sheen, Nicole Richie, Drew Scott and Paula Abdul, with Dierks Bentley among the performers. WE Day is a series of events held in North America, Britain and the Caribbean, with more than 200,000 students attending. They gain free admittance to WE Day by working on local and global causes of their choice. John Stamos will host WE Day California, which will be taped for a special airing Aug. 17 on ABC.